Want the top car service and car repairs in Canberra? Problem solved! Your own local Lube Mobile is right near you! 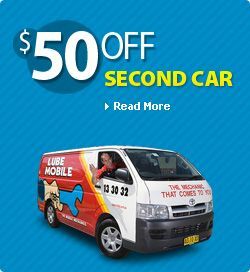 Wherever you are in Canberra, you can just get Lube Mobile to do any car service or car repairs you need, anytime. Just book, and we do the rest. Top quality parts and components - No exceptions! Service onsite, where you want it, where you want it. Quick, easy bookings online for all jobs. Full professional quote, no hidden charges. Best workmanship and Motor Industry of Australia code of conduct. Best industry standard expert car repairs. Emergency call work done ASAP. Contact us now, if you need help in a hurry! Fast, reliable service from Australia’s best mobile mechanics. You can always get Canberra's as top car service anytime you want! Our local mobile mechanics are always on the road helping out motorists in the countries capital, whatever needs doing. You can get your car serviced or car repairs done at when you want, where you want. Just book your job right here and we’ll take care of it for you. If you’re in a rush, you can book now! Just fill in the form on this page, let us know what you want done, and we’ll be at your door in no time!